Imagine you had no muscles, bones, joints, tendons, or ligaments. Physically, there wouldn’t be much you could do. Now imagine what life is like when your muscles, bones, joints, tendons, and ligaments are not functioning fully. Orthopedic physical therapy is a treatment that focuses on improving the function of your orthopedic system—those very important muscles, bones, joints, tendons, and ligaments. What conditions can benefit from orthopedic PT? You could benefit from orthopedic physical therapy if you have been injured or are facing the prospect of surgery. You might have had a fall, a sports-related injury, or an injury from repetitive use of a joint. Treatment is focused on helping you to build up your strength, flexibility, and range of motion. Orthopedic PT is meant to get you back on your feet and enjoying life again. If you have an illness or injury to any part of your body that is affecting your ability to move or conduct daily activities, you may benefit from physical therapy. Keep reading to learn more or click the link below to speak to a representative from BAYADA about how we can help you. Surgery involving your joints often requires physical therapy afterwards to regain full mobility. Hip and knee replacement operations are some of the most common surgical procedures in the U.S. The Mayo Clinic estimates that Americans receive over 1 million hip and knee replacements each year. Your orthopedic surgeon will have specific recommendations for you after surgery. An orthopedic physical therapist can help you with your post-operative exercises and make sure that you do not re-injure yourself while you are recovering. How can an orthopedic physical therapist help? Exercise is a key factor in your recovery. It can feel like work, but it’s work with a purpose. 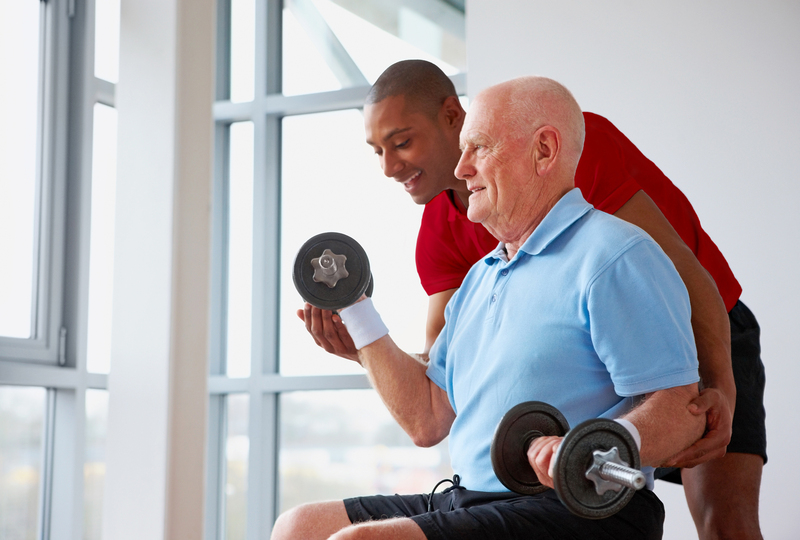 Your physical therapist will guide you expertly through the healing process by giving your exercises your best effort. A therapist who specializes in muscular and skeletal conditions will be best prepared to help you. They will know how far to encourage you to go to get good results without causing you unnecessary discomfort or reinjury. There are five types of tools that may be used during your sessions. You may see good results from a variety of therapies such as heat, ice, water, laser, electrical stimulation, dry needling, and ultrasound. These are used to improve your blood flow and flexibility, reduce swelling, increase relaxation, and most importantly, reduce your pain level. Devices such as canes, walkers, crutches, slings, and braces may be either used during a session or recommended for you to use at home. Your therapist will start your treatment with a thorough evaluation that looks at your symptoms, how you move, and how this affects your daily life. Throughout your treatment period, you will be assessed regularly for outcomes such as your level of pain, range of motion, strength, balance, and posture. A key part of retraining your body to work better is to get the muscles and joints moving. Your therapist may help by using soft tissue massage to relieve stiffness and promote blood flow. You also may receive hands-on manual therapy, where your joints and muscles are moved for you by the therapist. The first four tools are things that the physical therapist will do for you to help your movement improve. But the most important part of therapy is your own activity. You will be involved in a variety of rehabilitation exercises that are designed to help you fully recover. Exercise is often the hardest part of your treatment, but it is where you need to put in the most effort. Your PT will be able to expertly guide you through the process. Physical therapy is just one part of a complete health care plan. There are three key tips that can help you get the best results from your sessions. Make sure your chosen therapist is trained to treat your specific condition. For example, you can request an Orthopedic Certified Specialist (OCS). Or you can ask your doctor to refer you to a health care provider such as BAYADA with the expertise to meet your needs. You will see the best results if you take responsibility for your own recovery. Make sure that you ask any questions you have before you get started. Let your therapist know what is happening for you and if an exercise is helping or hurting you. Health professionals are not mind readers. Be honest about what works and what you are doing. Asking questions and giving complete answers will help you get better results. Set a goal for what you want to accomplish and keep that goal in mind. Your PT has the specialized medical expertise to know when to push you to keep going even when it is hard. Give it your all when you are in session with your therapist, and follow the exercises you are given to do at home. Your therapist will work beside you to get you back to your normal life. But you are the most important part of the process. Work when you need to work. Remember to rest when you need to rest. If you put your best effort into partnering with your health care team, you can more quickly and safely regain function at your best possible level of health and mobility. 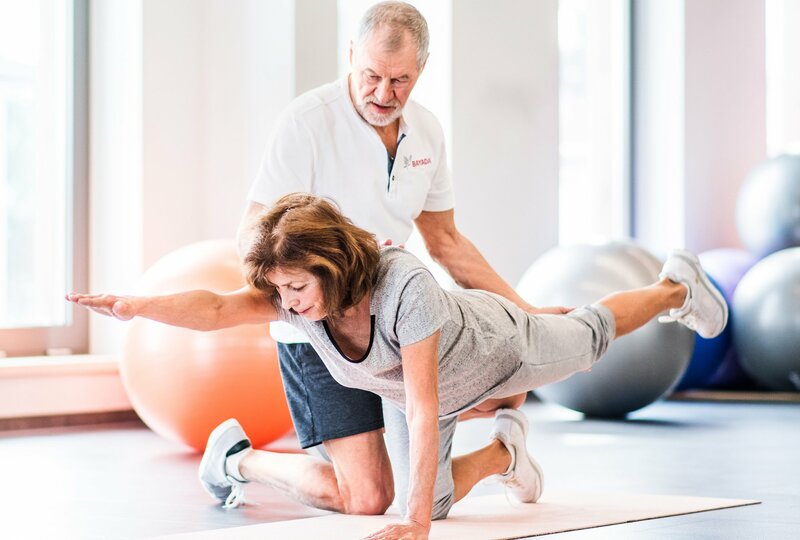 If you or a loved one has recently experienced pain, surgery, injury, or disability, ask your doctor for a referral to a BAYADA physical therapist who can help you meet your recovery goals in the comfort of your own home. The Insider Scoop: What Happens During Physical Therapy Treatment?